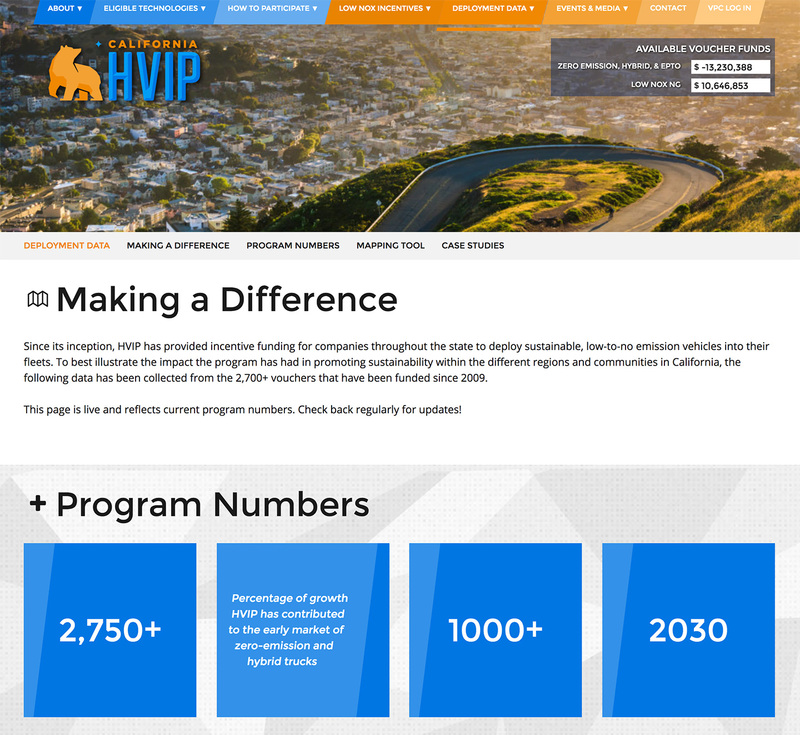 To date, HVIP has helped deploy 2,400 vehicles, accelerating the growth of the nation’s early market of zero-emission and hybrid trucks by 30 percent. 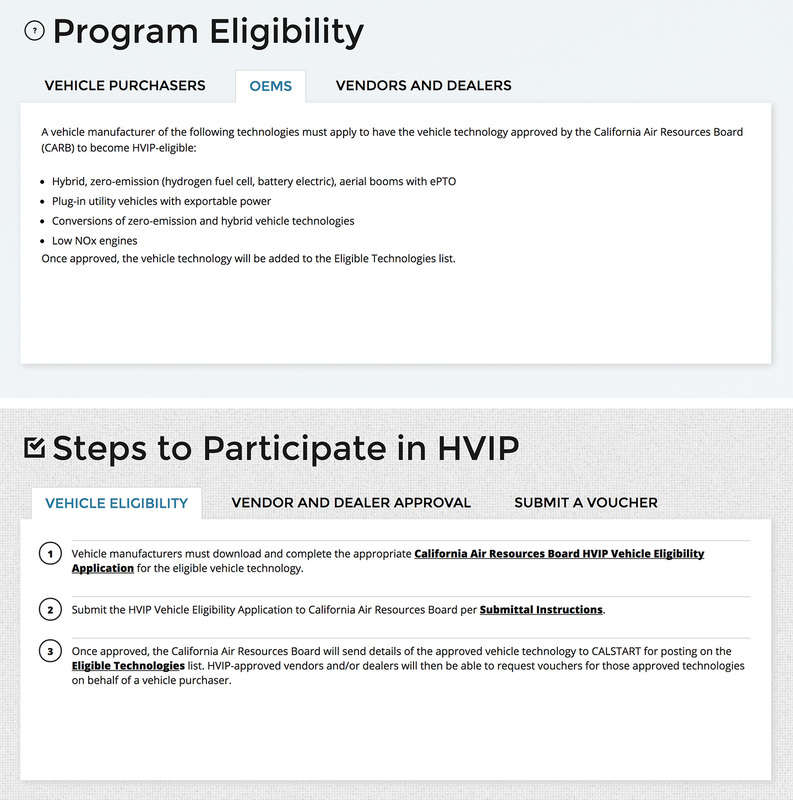 HVIP has successfully increased the demand of these technologies which is proving to advance the industry, create jobs and economic benefits while accelerating the commercialization of these trucks and buses for all. 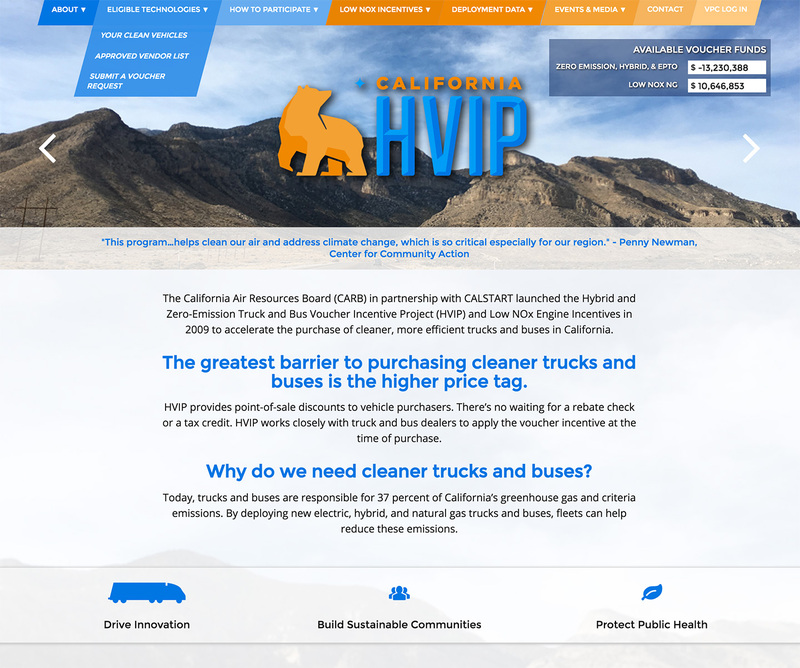 We teamed up with CALSTART, a company dedicated to the growth of clean transportation technology, to build the online home of the Hybrid and Zero-Emission Truck and Bus Voucher Incentive Project. 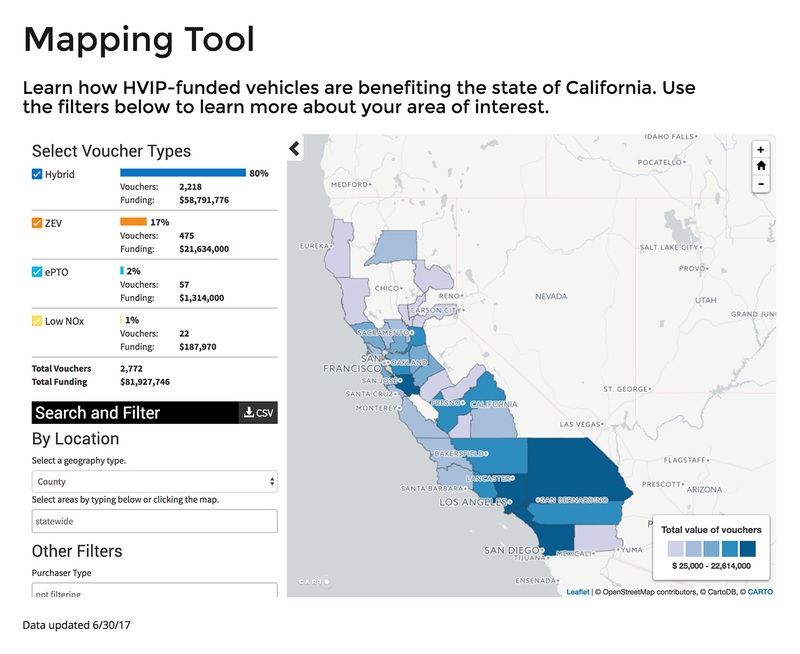 To help truck and bus fleets in California reduce the cost of purchasing clean transportation vehicles, CALSTART facilitates the distribution of vouchers provided by the California Air Resources Board. 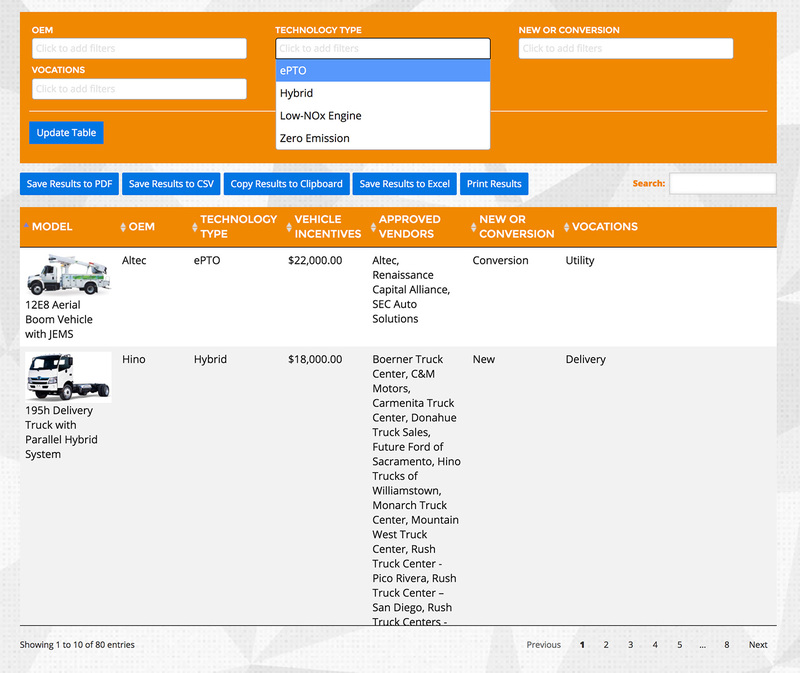 The site features a filtered data table, a map with filterable results, and blocks for key statistics CALSTART wants to relate bus and truck fleets. The site’s design allows users to quickly review tabbed content and download application resources. The site conforms to several different desktops, laptops, phones, and other screens as well as multiple modern browsers. 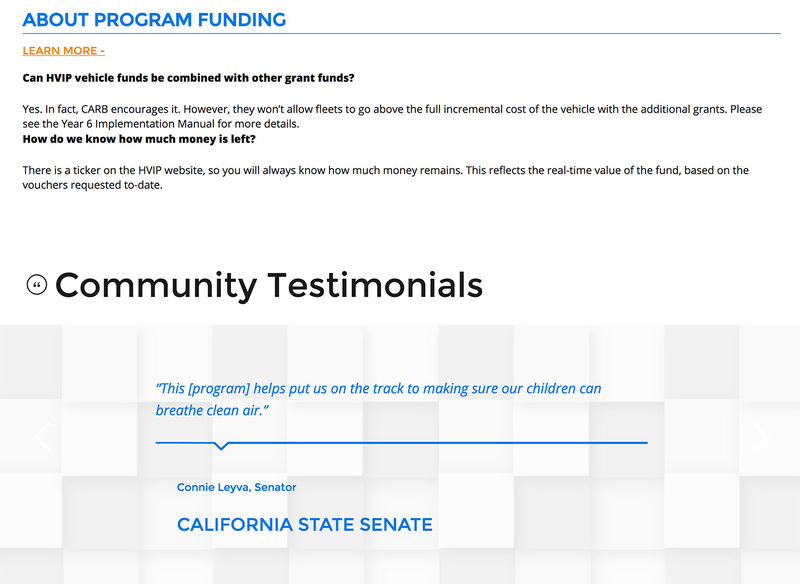 We’re proud of what we’ve accomplished with CALSTART team and happy to support clean air initiatives in California. 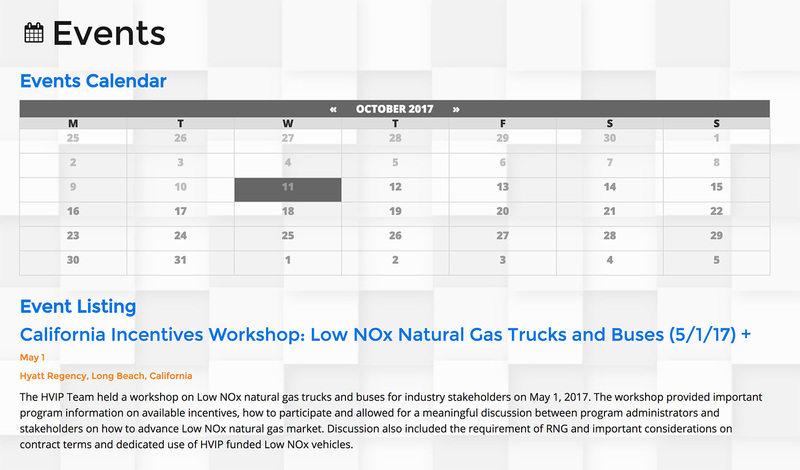 The project is a continuation of Social Ink’s work with organizations that advocate for the environment and improvements in transportation.